Download Swift Dark Substratum Theme +Oreo & Samsung theme APK. Swift Dark Substratum theme makes more than 200 apps dark and supports the following systems:Android 8 / Oreo, OnePlus ( supports OnePlus 3, 3T & 5 ), Samsung (supports S7, S8, S8+ & Note 8), Nexus, Pixel, LineageOS, option to select your favourite accent on Oreo and Nougat OMS! ROOT is not needed for Samsung, Andromeda (Pixel & Nexus) or OMS systems. Other systems needs root. Update the theme from Play Store. After updating, make a clean install of overlays: Uninstall all overlays from the overlay 'Manager', which you find in the left nav drawer inside Substratum. When this is done, install the new overlays followed by a reboot. When you are about to update your firmware, make sure you uninstall all overlays prior updating. If an app stops working, you need to reinstall the overlay for that app and reboot. This is required as an overlay needs to be applied on top of an app. For exemple, when you update an app from Play Store, the overlay won't be on top anymore. When you reinstall the overlay, and reboot, you will make sure it is again. This is how overlays works. Every time you update an app to a new version from Play Store, there’s a risk that it don’t match the version we based the theme overlay on. The best way to keep all overlays working over time is to disable automatic updates in Play Store, and update your apps when we update the theme. We update every 4-5 days, so you won’t have to wait long to update everything. 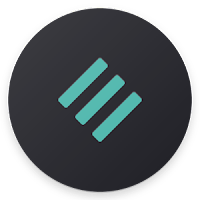 Download the Substratum theme engine app and the theme. 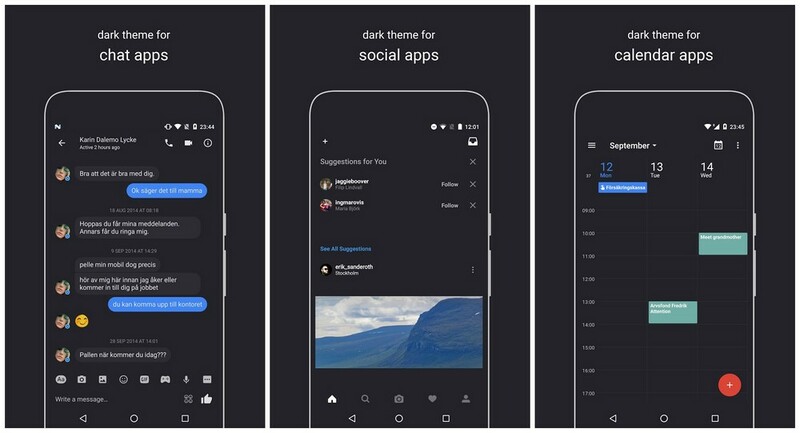 When you open up the Substratum app you’ll find the theme inside. Also select the apps you want to theme and hit install. Wait until all overlays are installed and then reboot.